A comfortable and cozy accommodation with a conservatory and garden. Equipped with modern comforts like Internet and a DVD player. The garden with garden furniture and BBQ provides the ideal place to relax completely while the kids play on the lawn or enjoy a game of table tennis. In July and August there is a ground swimming pool at your disposal. 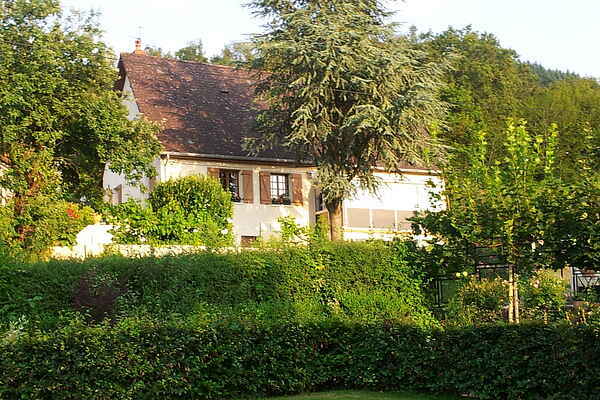 Close to the property is a walking trail through the beautiful nature of the Morvan. A beautiful area with vast forests, fields, springs and lakes. It's quite common to see deer and sometimes even wild boar here. Birds of prey can be seen daily. Millay is a small village with some basic amenities. In the surroundings, there are regular markets and traditional festivals. In Luzy (8km) there's a supermarket and a number of shops. For trips you can go to the cities of Beane or Autun. In Bibracte on Mont Beuvray you can visit the Gallo-Roman excavations for free. In Charbonnat you'll find Europe's largest Buddhist temple and in Cluny an ancient abbey. Wine lovers can indulge themselves in the region as well. A short drive will bring you to the vast wine region of Burgundy. Combine this with a visit to one of the castles where wine tastings are organized. In Le Pal there's a zoo and an amusement park. In short, there's something to do for everyone. Bienvenue!